CUTE BY THE INCH called my attention this week. Is such a versatile stamp set. I am in the fall mood so owls are very precious to me right now. During fall we will celebrate so many important people in our lives giving thanks for them and cherishing them so why not make a few cards to express our love? 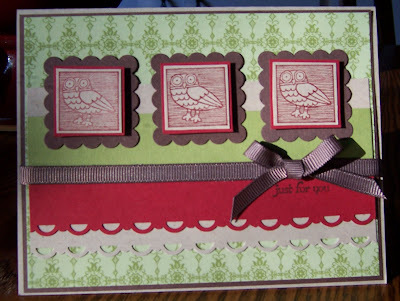 TEENY TINY WISHES stamp set brings the sentiment for this card and the SCALLOP TRIM BORDER PUNCH adds a touch of elegance. 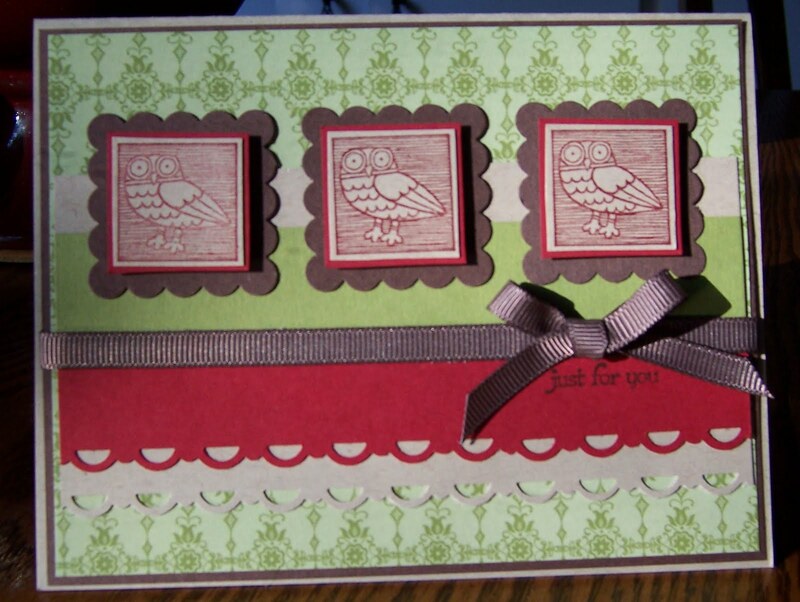 Hope you find many ways to use this cute stamp set. Leave me your love with your comments and be inspired! !